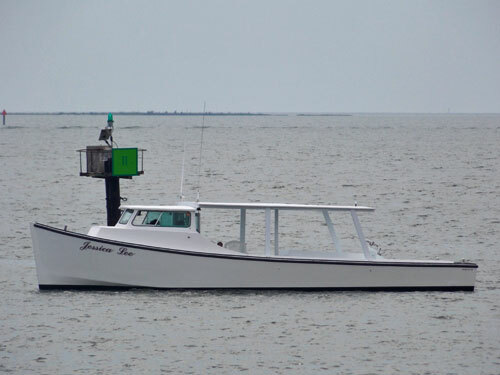 The Chesapeake Bay deadrise boat is extremely popular for inshore commercial fishing in the Mid Atlantic region. Several attributes of modern day deadrise boats originated from early sailing vessels of the Chesapeake Bay region. Most traditional wooden Chesapeake Bay deadrise boats featured a sharp, upturned bow which tapered to a wide, shallow stern. Several variations of the basic design were built for specific needs. One such vessel was the buyboat.